To close out Geek Mentality’s first ever “Television Week” (and yes I’m a day late because I was falling asleep during the writing of this), I thought that instead of posting about one specific show, I would talk about a few shows - five to be exact - that if I were a bare-chested, vest wearing man that had procured a genie-filled lamp that provided me with 3 wishes, I would use the first two wishes for money and health, and the third one I would use to bring back five cancelled hour-long televison shows that I miss watching so terribly much. Hmm, was that just ONE long sentence? Well, any way - in no particular order - here are five shows that I wish were still on the air. For those of you unfamiliar with a little show called Reaper that was on the CW for two seasons, it was about a young man named Sam who learns that his parent’s sold his soul to the Devil. If that’s not bad enough, the Devil has plans for young Sam. He uses him to catch escaped souls and put them back into Hell. If you took Chuck, replaced the government with the Devil, the Buy More with the Work Bench, the bad guys replaced with the bad souls, Sarah with Andy, and turn Morgan into two people named Sock and Ben - you’d have REAPER! The show was one of those great mixes of horror and geekiness, with a high comedic level that kept me laughing each week. I think the seasons flowed perfectly between episodic based shows and shows dealing with the overarching story that grew more complex as time went by. The chemistry between the characters was fantastic and you really felt like they’ve all been friends forever. Ultimately, the show never was able to have a conclusion after the CW canceled Reaper before they could finish their story. This is definitely the kind of show that would translate well into a comic book, and I for one would love to read the continuing adventures of the good man who worked for the Devil, and his struggles to get out of a deal that he didn’t even make. 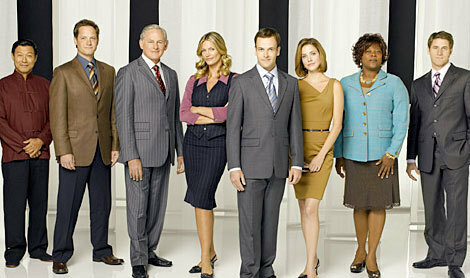 The next three shows on my list are all former ABC shows that I fell in love with - only to have them taken from me. The first one being Eli Stone. For those of you not in the know - Eli Stone centers around the title character, a lawyer that starts experiencing hallucinations - only to discover that they are being caused by an inoperable brain aneurysm. Soon though, he starts to see that these hallucinations are not random at all, and in fact they are helping him in life and with the cases he tries for his big business law firm. 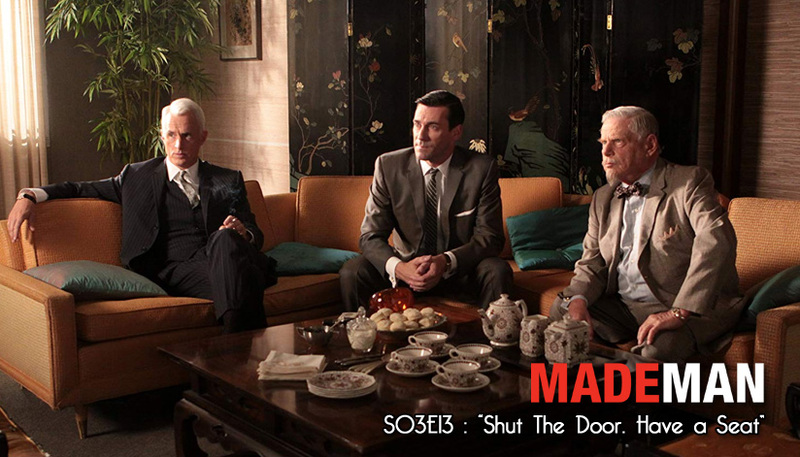 The things he goes through changes him as a man and as a lawyer, and it starts to effect all the people around him. The more the show went on, the more we start to learn that perhaps the aneurysm itself - the scientific cause of his hallucinations - may be there for a reason, a higher purpose. Okay, that may seem like heavy stuff - but there was a lot of lightheartedness and a lot of humor, not to mention many musical numbers that we get to enjoy as the audience - but are in fact all in Eli’s head as part of his hallucinations. Again, the cast was so likable and fun, and I really enjoyed watching their interactions each week. I think cast chemistry and likability plays a big part in the shows that I enjoy - and Eli Stone is no exception to that rule. Okay, I admit it. I never heard of the original show before this American version of Life on Mars came out, and I’ve yet to see one episode of it. I plan on watching it someday, but at this point the only thing I have to on is the US version of this show - and I loved it. The premise was an interesting one - Detective Sam Tyler gets hit by a car in present day New York only to wake up and find himself in 1973. He needs to figure out why he is there and he needs to figure out a way back. In the meantime, it looks like he is still a cop and starting at a new precinct. The show was a nice mix of Sam experiencing weird things that give him clues on why he is where he is and how does he get out. We are at one point lead to believe that he is in a coma and that this is all in his head, and in a way it was - SPOILERS AHEAD if you don’t want to learn more. Although this show was canceled after one 17-episode season, the writers were given the chance to close out the show and write and ending and boy did they throw us a doozie. Turns out that not only was his 1973 experience all in his head, but his 2008 life was also all in his head. In reality - he was part of a team of astronauts heading to, where else - Mars. His fellow astronauts were people that he saw in his 1973 dream-life, much like the Wizard of Oz. I thought that given the time they had to put together an ending, the producers definitely delivered something unique. However, I have read that this was their intended ending all along. Some of the things we saw during this series’ short run could lead me to believe that (especially all the Mars rover appearances) - and if it is true, I’m not sure how I would have felt about it if this show went on for multiple seasons. However, none of that stuff mattered to me. 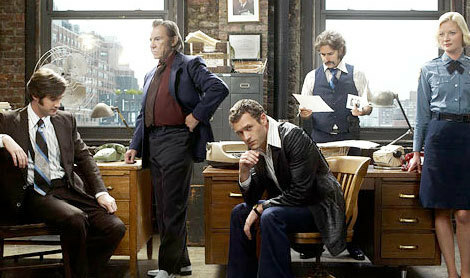 Honestly, I thought this show could have worked if it was just a strict 1970s style cop show. The characters were great and fun - especially those played by Harvey Keitel and Michael Imperioli, and the music they used was just awesome. Sadly, those 12 episodes are all we’ll ever have of this version of Life on Mars - but I am looking forward to experiencing the original BBC series that this was based on. At least I will have a little more time with Detective Sam Tyler. Looking at my list, each of the shows that I picked would be considered “high concept” genre-based shows, and ABC’s Pushing Daisies may be the most “out there” concept of them all. The premise? A pieman named Ned discovers that when he touches things, he can bring them back to life - animals, fruits, and most importantly - people. There are some drawbacks though. Anything he brings back he can never touch again. If he touches it again, it will die - and this time the death is permanent. Also, anytime he brings a living creature back to life, he has one minute to return it to death - or something of “comporable value” will die nearby. Weird? Wait it gets better. His power is discovered by a detective (Chi McBride) and they go into business together. The pieman interviews the dead to find out who killed him in exchange for both money and for the detective’s promise not to tell anybody his secret. There’s only one little problem. The pieman’s childhood love Charlotte, who he calls Chuck, was murdered. He discovers who it is when he ends up working on that case. He brings her back to life - only he decides she deserves to live and does not return her to eternal death. Of course that means that a nearby person dies. Luckily it was a crooked funeral operator and nobody is the wiser. So that’s the basic concept of the show. They spend each week solving murders while at the same time falling in love with each other - and never being able to touch, because touching would kill Chuck dead. Forever. But Chuck is not the only one in Ned’s life he can’t touch - he brought his dog back from the dead as a kid and hasn’t been able to pet him for decades. It was fun to watch the imaginative ways for Ned and Chuck to have intimate moments without touching skin to skin, and the interaction between the characters was also quite enjoyable. I think what set apart this show from others is by how it was produced. The show was almost a fairy tale - reminding me a lot of the world Tim Burton created for Edward Scissorhands. In the shows two short seasons, there were a lot of big personalities and bright colors. There were fantasy and dream sequences and even an occasional song routine. But through it all, the show’s basic premise was that it was a tragic fable. A sad love story about a man and the woman he loved more than anything - but could never touch. 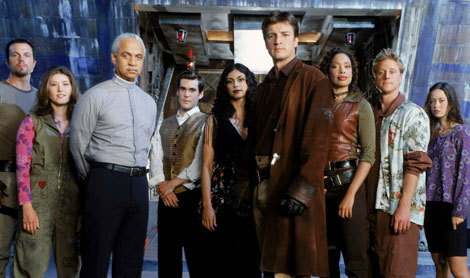 I would be doing a disservice to the geek/sci-fi world, and to any readers of this post if I did not mention Firefly as one of the shows I wish I could have brought back. I mean, how could I not include it? And now that I have, what can I really tell you about this show that hasn’t been already said or that you don’t already know about? I discovered this show back in 2002 when it was originally on Fox. I remember that my wife was working Friday nights, so I was either hanging out at my friends house - or home watching this new space cowboy show Mr. Buffy himself - Joss Whedon. I remember enjoying it and, even though I didn’t see every episode, I was sad to hear a few months later that it was being canceled in the middle of its first season. Oh well, that’s the end of that right? Of course not! But you already knew that. When I later heard that there was going to be a feature film called Serenity, and that it was the continuing story of that old space show I watched on my lonely Friday nights - I was shocked. How many people get the chance to make the movie they want, based on a failed television show - and starring the entire cast of the TV show that are probably only marginally recognized at best. That took some exec balls to give Joss the ability to do that - and I think he pulled it off masterfully. Seeing that not only sparked interest in the movie, but also in going back and rewatching the original series on DVD and am I glad that I did. Fox did a horrible job in promoting and presenting this show, which lead to a smaller audience - and the inevitable cancellation. They ran shows out of order so things didn’t quite have perfect continuity and they finally pulled the plug after 11 of the 14 produced episodes aired. Luckily, I was a DVD guy - and was able to watch all 14 episodes in the order they were meant to me. Fourteen episodes TOTAL - and only 11 made it to air. The point is, I’ve never seen such a huge fanbase for something that was relatively small. People love their Firefly. The love their Serenity - they just love this show. And so did I, that’s why I just HAD to use Firefly in my television show wish list. Well, this was supposed to be a “post a day,” Monday-Friday, special where I talk about television every day. I was perfect until Friday night. I started this post then and fell asleep, so I saved to finish on Saturday. I’ve been working on this, in smaller chunks, throughout the day and finally finished - 12:12am - Sunday morning. So consider this an extended week of television posts, but I am happy to say that I promised 5 posts and here is #5, even if it took almost 7 days to get it done. These are 5 shows that I want back. Maybe some you agree with, but others I am guessing now. What I’d like to do (before I fall asleep with you) is ask you one question. What would your five be?